Randy Litchfield Signs with Coastal as Recruiting Director! Former D1 Coach Signs with Coastal to Coordinate the Recruiting Process Club-wide! Coastal Volleyball is proud to announce Randy Litchfield signing on with the club to handle all our recruiting needs! Hello Coastal Volleyball Athletes, Families and Staff! It is a great honor to be able to work with Johnathan and Coastal Volleyball as the club begins its 2016-17 season. This game has been in my blood for a very long time and I’ve been a part of it from just about every level you can imagine, including working with Olympians prior to 2004 Games to teaching 8 year olds how to ‘bump’ as recently as 2015. By the way, the first thing we taught them is it’s ‘pass’ not ‘bump’. Bump is a dance from the 70s (ask your parents and grandparents). In the early 80’s I played D1 men’s ball for Ball State and had a good career. That career continued for a bit after college until the injury bug bit me a few too many times. I helped coach men for Arnie Ball at IPFW before becoming head women’s coach back at my alma mater, Ball State. After leaving the college game in 2006 I directed BIG clubs in Indianapolis. It was during this eight-year period of involvement with club athletes that I learned more about skill development and technical coaching than in my previous years combined. Coaching eight year olds forces you to learn to teach the game. I also assisted in the recruiting process and college placement of over 100 athletes during this time. For over 22 years as a college coach I did the recruiting. As a club representative I assisted in the recruiting process, learning a completely new viewpoint. 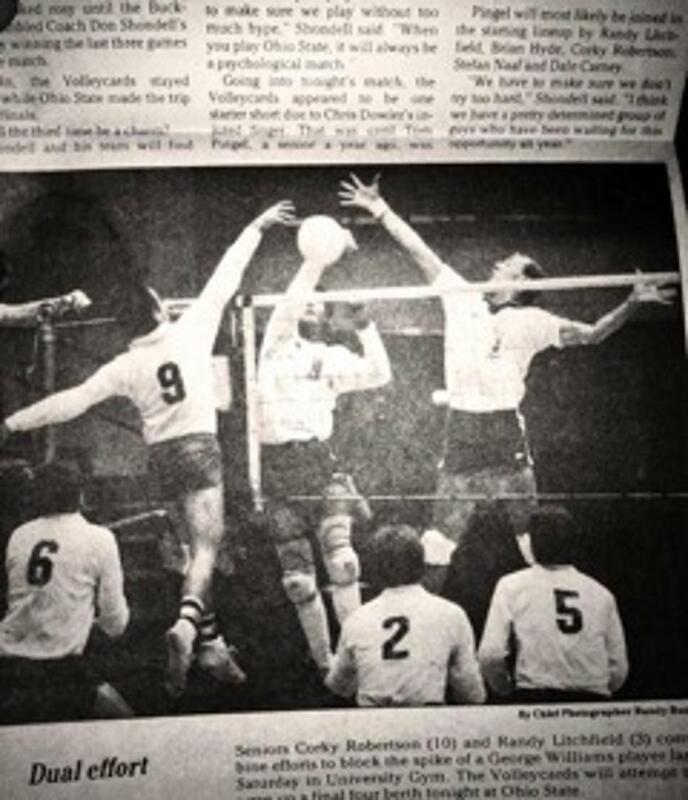 During this time my two daughters also played, with one getting a full scholarship to play libero at a D1 school. As you can see, I’ve experienced this great game from about every angle as a coach. But more important to my role as your Recruiting Coordinator at Coastal I have seen recruiting from every angle. I was a high school athlete who was recruited; I have been a college assistant coach and head coach; I have been a club coach and a club director; I have been a parent of athletes who have competed at high levels and who were recruited. Assisting you in the process, which can be intimidating and scary, is my job at Coastal and I’m looking forward to it. It is certainly my style to enable the athletes and not hold anyone’s hand. While I admit the process can be intimidating, it’s important to understand that searching for a college or university should be one of the best times of a kid’s life. It’s only stressful because it is too often viewed incorrectly. College coaches are just people and they often appreciate being recruited by student/athletes as much as they enjoy finding great student/athletes. We are going to have fun with this! I live in Indiana but plan on visits to Coastal for seminars on recruiting and player evaluations. However, most of my work can be done remotely without any problem. I’m a phone call away. Skype or FaceTime calls with members interested in the recruiting process. Monthly newsletter featuring tips on emailing coaches; leaving messages, etc. Personal email and phone communication with members. Review and suggestions regarding your highlight or match video. Remember, this is YOUR time and YOUR process. I’m here to help. Eventually it will be YOUR university and YOUR degree. I’m here to help. Now, focus on your grades and I’ll be in touch soon. The International Supplier of Volleyball Equipment. The World's Best Volleyball Apparel and Equipment. For the Best Apparel & Equipment Customization in Aventura and Surrounding Areas!